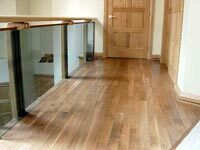 For many years we have fitted pre-finished laminated flooring to the domestic and commercial market. We specialise in all hardwoods and have a wide selection to choose from including oak, mahogany, beech, ash, maple and cherry to mention a few. We only use the finest hardwood in all our floors, capturing the natural beauty of real wood and using it to turn your home or business into a place to be proud of. Each hardwood has its own unique appeal and all our wood types can be used in different floor designs and we can even design features specifically for your home or business, giving your hardwood floor true distinction. Different finishes and edging can also help to make your wood floor truly unique. Mixing different hardwood types together gives a fabulous effect to wood floors and any pattern of your choosing can be created. 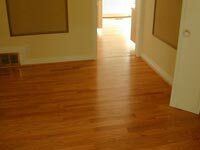 A wide range of hardwood floor choices are available to suit many different situations. Over 60 different hardwoods can be used in each installation of flooring and a mixture of hardwood types can really bring out the beauty of a hardwood floor. Very hard woods are extremely durable and therefore are best suited for children's areas and kitchens whilst more subtle hard wood is better for living areas where hard wearing wood is not as important as the finish. Our hard learned flooring experience means we can advise you on the best hardwood to choose for any flooring installation. 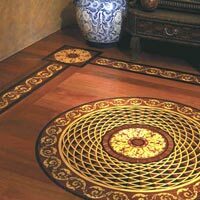 We also install decorative strips, borders, medallions, patterns, inlays and pegs, and we can repair worn out, broken, missing or otherwise defective hardwood floors. We also undertake filling-up and patching of floor splits, holes and other defects, as well as professional dustless floor sanding and buffing/screening with modern equipment.